Today is a special Moon, a Blue Moon, and we won't have one again until 2018. A Blue Moon is rare, hence the common phrase "once in a blue moon." A Blue Moon is when two Full Moons fall within one months time, it's partly why this month has been full of so much emotion. Today the Moon is in the Water sign of Aquarius, and the Sun is in the Fiery sign of Leo! I want to focus on something else happening in the skies (and in us), a Grand Trine in the element of Water. This triangulation involves the planets Mars in Cancer, Saturn in Scorpio, and Chiron in Pisces, all water signs. We are in a time of emotion, compassion, intuition, sensitivity, empathy, imagination, and creativity. Full Moons always bring with it a wave of all kinds of intense emotions, but with the alignment of the Trine we are able to dive deeper into them, to use them, and explore them. We need not be at the effect of them, but we are being guided and supported to drop into them as a way to gain greater understanding of ourselves. 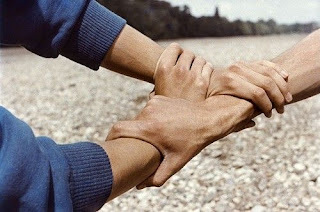 Just like our past, emotions are not something we can run away from (or, if we do, we can only do so for so long). What would your life be like if you could transform your emotions, just by feeling them, and therefore carry them forward with you into your future? Empowerment does not come from running away, or getting stuck in the past. It comes from owning the emotions: the experience, the grief, the trauma, the sadness, the loss... I know it seems counter intuitive. We think that by feeling these things it will make us weak, but it is the resistance of the truth that makes us weak. It takes a whole ton of energy to resist. And in doing so we disconnect from our self. If you let yourself feel and explore you have the power to move through it, to be guided by it, to transform it, and grow from it. The dark is all about transformation. There is no transformation in the light, it's already light, there is nothing to transform. I know what I am talking about is an aspect of the same thing I write about here every month - Accessing your power through feeling your feelings. But, I believe this to be true with every cell in my body. If there is anything in this world I am passionate about and dedicated to it's helping people get in touch with what they feel, and not be afraid of what they might discover. 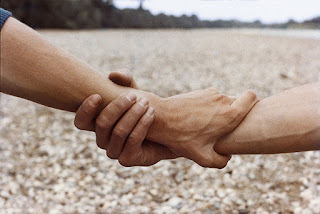 During this Moon we have an opening, a porthole, to go deeper, and to trust that in going deeper you will be supported. Think about all the qualities of Water. Water is both powerful and fluid. There is new found clarity in its stillness. It is amorphic and abstract. It is about being in the unknown. That's what it sometimes feels like to be "in it", in the middle of our emotions. Sometimes there is no answer or definition. There is power in the unknown. - a fascinating story of two sets of identical twins separated at birth, and how so much of who we are is genetic. - What Does Harper Lee Want? - loving this video about how to be telepathic and communicate with the mind. - the FvF Friends Dinner! Berlin in LA! Last month I helped out with this dinner - pulling together friends and making the menu card for Sqirl! Super fun! I don't know if you can feel it, but there seems to be some magic in the air. Something blowing in the wind, in the quality of light, in the encounters of the last few days. It almost feels like an opening, a space being created for some new energy to come flooding in. This is being brought to us by the New Moon in Cancer. Part of the reason we can feel it is because we just came out of a rather long and intense Full Moon. But, New Moons are lighter, they are where we align and make connections, where energy flows and things seems possible. Notice how effortless things are in the days around a New Moon, notice how things happen with ease. Even if there are emotions (old or new) surrounding you right now there is a sense of release in feeling them and letting them flow. Especially with this Moon in Cancer, emotions will no doubt be swelling up inside of you. These emotions that are surfacing will feel different than they have felt, especially compared to the last Full Moon, where they felt as if you couldn't control them and things seemed to come at you out of no where. Right now we are in a more gentle place energetically, it's not to say that there won't be difficulty, but there is a sense of ease when things arise. Emotions are natural right now, they are in alignment with the energy we are in while the Moon and Sun are in the sign of Cancer. There is a focus on nurturing, family, home, and comfort. Cancer is a very watery, highly emotional sign. I like to think about it as a huge, vast, expansive, and deep body of water. And then imagining an invisible container that holds this body of water. It's the container that allows all of the activity in the depths and the surface of the water to occur. It has to have something to hold it, to allow it to feel safe. It has to be held so it can take shape. That's what this time is about for us. Feeling into what we need to provide for ourselves so that we can feel safe to take shape, to feel the depths and the gifts of our emotional bodies. What do we need to do to create a safe, nurturing container? Things like setting boundaries, making space, taking solo time, nesting in our home, spending time with loved ones, writing or being creative... are all ways we can do this. The more we do this the safer we will feel, and the more free we will become to explore the depths and goodies of our emotional landscape. 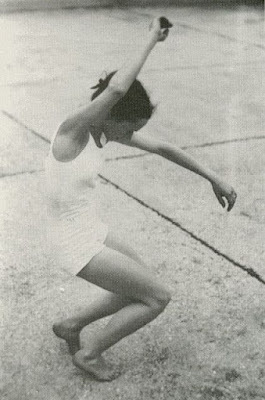 It also seems especially important to be connecting with our bodies right now, doing lots of movement and grounding, as our bodies are our literal containers for our inner, emotional lives. With New Moons there is also an opportunity to set some intentions and make some wishes. The Moon is holding an empty space for us to pause and take time to think about the kinds of things we would like to draw into our life, and look in the direction where we are headed. Read more about how to make your New Moon wishes here. Happy New Moon to you all. 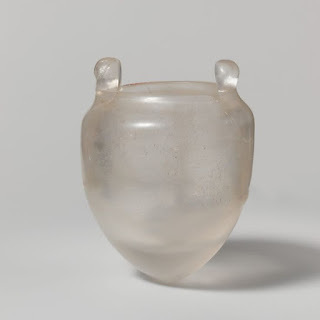 Rock-crystal vessel, 4th–3rd century B.C. A collection of hand selected minerals for sale from 2 - 4 pm. Each mineral and crystal has been worked with over the course of a month; cleansed by the Earth, Sun and the cycles of the Moon, ready for you to use as a beautiful tool in your life. Each one accompanied by a card outlining its particular helper and healing qualities. Pick something special up for yourself or as a gift. 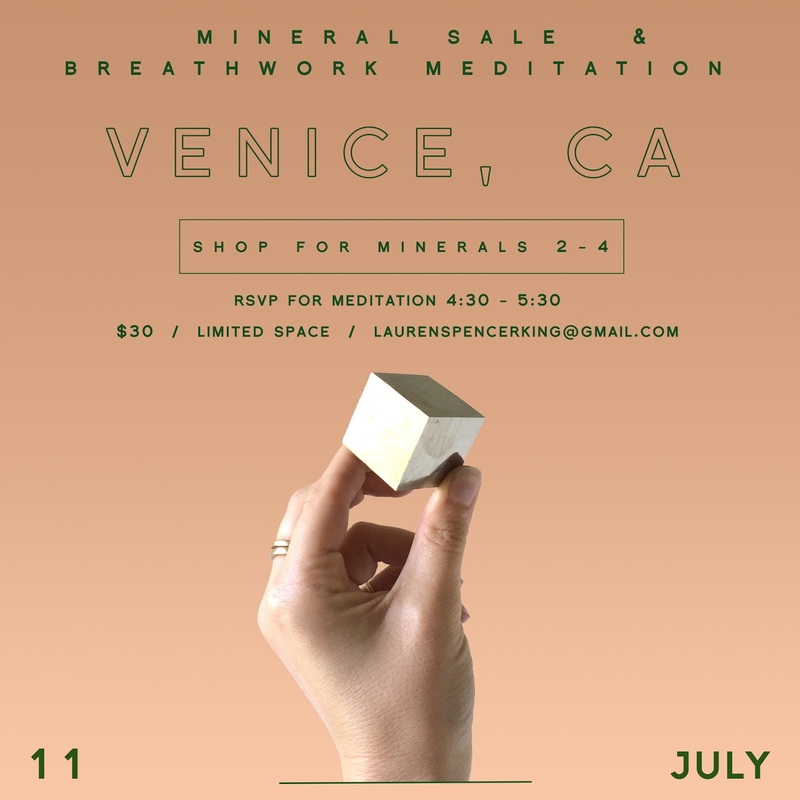 Come for some minerals, come for meditation... or come for both! Also, email to RSVP to hold your spot for the meditation (limited space).